In this age of super convenience, subscription services are a popular choice for many consumers. From gym memberships to Netflix, automatic monthly payments simplify getting the services we want and take the hassle out of paying yet another bill. But, when those payments are being withdrawn from our accounts for things we never use, that convenience can quickly turn into an awful nuisance. That’s why, when Yahya Mokhtarzada discovered he was getting billed for a monthly subscription fee to an airplane Wi-Fi provider, he was so annoyed that he launched a company. His brainchild, Truebill, has only one goal in mind: to save you money. How do you keep track of every free trial you sign up for and remember to cancel them before you start paying? How do you prevent yourself from getting hit with fees for services you never use? The answer is Truebill, which offers a free service to keep track of every subscription you pay for. All you need to do is link your credit card account to their secure site. Within days, Truebill will send you an email that lists every automatic payment you’re making. Prepare to be surprised! It might be Amazon Kindle you once signed up for but never use or a Wi-Fi service you once needed on a trip abroad. TrueBill nearly always unearths an unused subscription. Unfortunately, too many companies make signing up for free trials and paid services extraordinarily easy, but make cancelling them super complicated. That’s why the app is more than just finding ongoing payments; Truebill also cancels them for you. The app will notify you about price increases for services you actually do use, since companies too often neglect to inform you about price changes. In addition, as a Truebill member, you can feel free to try out new services and complimentary trials without fearing you’ll forget to cancel your subscription. You can count on TrueBill to do it for you. Mokhtarzada claims that Truebill saves its members an average of $512 a year. That’s no small change. 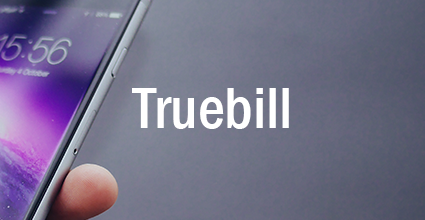 With Truebill, you’ll save money and never pay for something you don’t use again.